It's been awhile since I've done a simple portrait. 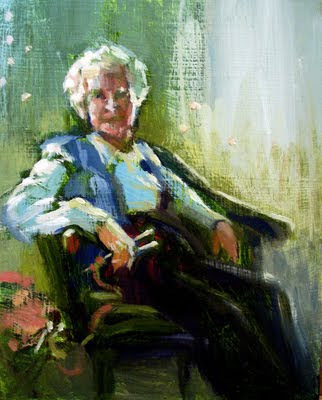 This is a small 8"x10" study for a personal project - a portrait of my Grandma Alice. I really like this one. It has so much depth to it and the strokes are strong and beautiful. Her arm really draws me in, holding those needles.